Carraway Office Solutions, where customers come first. Whether you have analog or digital equipment, Carraway Office Solutions can handle all your Office Automation needs. As a business ourselves, our focus is to you, our customers, to ensure that we are fulfilling your needs. Find out what others have known for over 50 years: at Carraway Office Solutions, customers are our first priority. Need service or supplies for your current equipment? Looking for a new machine? Need service on an existing machine? Chances are if you or your office have ever owned a printer, you probably found yourself in need of these services at some point. Please give us a call, drop us an email, or feel free to stop by and say hello! Oh, be sure to check out our product catalog. Kyocera is doing some amazing things, and we’re excited by the opportunity to share some of them with you. 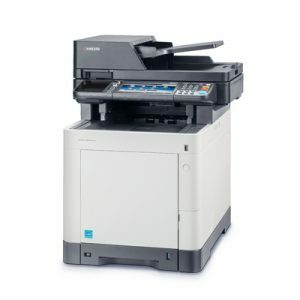 Most of all, their multifunctional printers offer a great solution to any office that is printing, scanning, faxing, etc on a daily basis. Best yet, with Carraway Office Solutions you have the opportunity to rent a Kyocera. Contact us a call to find out how we can help transform your office space into the fully-functional area it can be with the help of a brand new Kyocera printer!